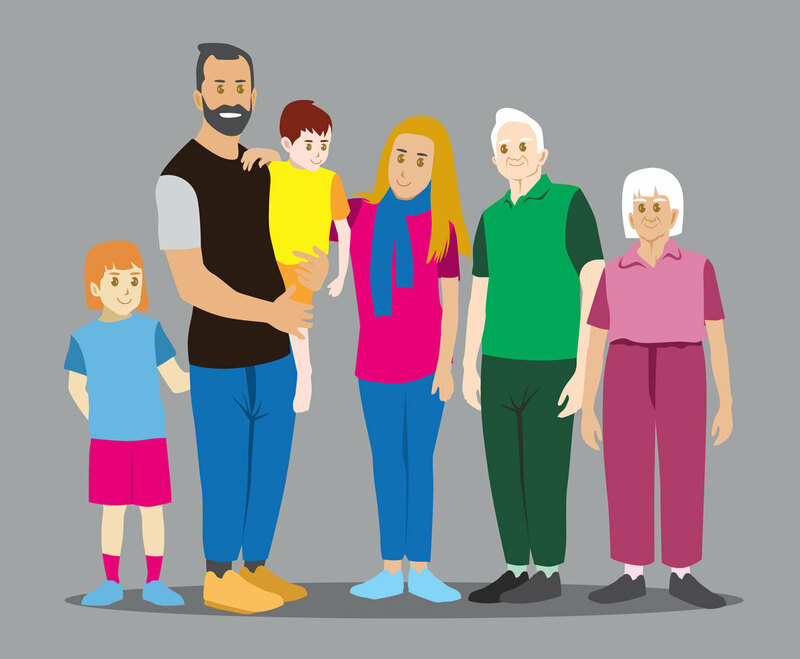 A set of vector illustration of a family. They have happy face and consist of a father and mother and their three children and also their grandparents. Can be good as design elements in a family program or activity event in a poster or flyer.